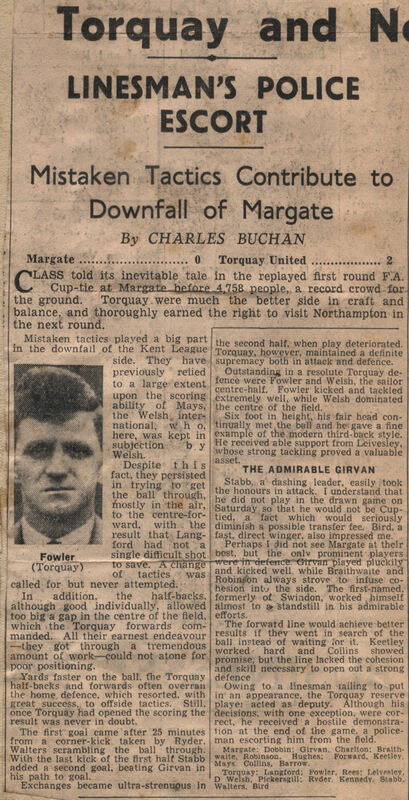 Having beaten Harrow-based amateur outfit Old Lyonians 2-0 in the 4th Qualifying Round Margate travelled to Third Division (South) club Torquay for a 1st Round Proper tie. 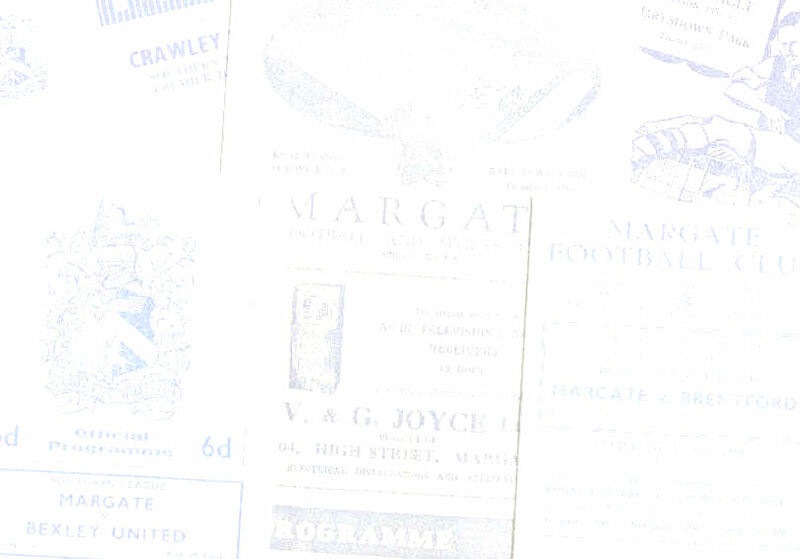 After falling behind to a Kennedy goal within five minutes Margate's prolific striker Billy Mays equalised shortly before half time and there were no further goals after the break. 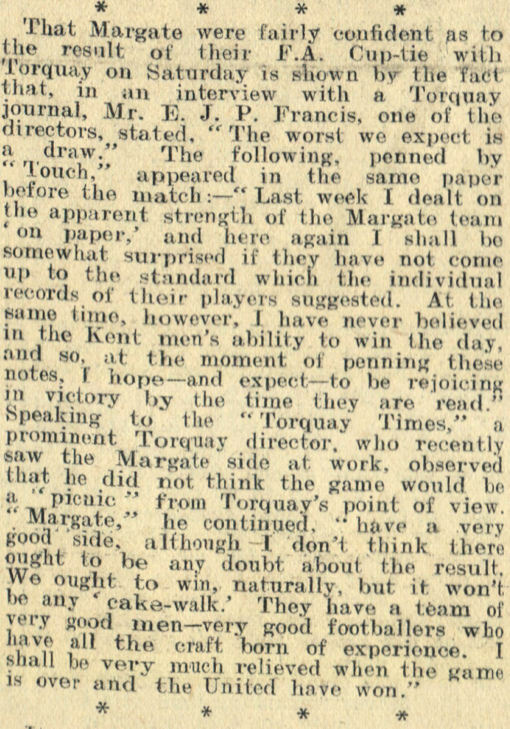 For the replay Margate brought back first-choice keeper Stewart Dobbin and replaced Reg Tricker with Nick Collins whilst there was a change of centre-forward for Torquay - George Stabb replacing Billy Harker. A new record Hartsdown Park crowd of 4,759 saw the Devon side take the lead after 25 minutes when Tom Walters headed home from a corner and a second goal from Stabb on the stroke of half time proved enough to see Torquay through.